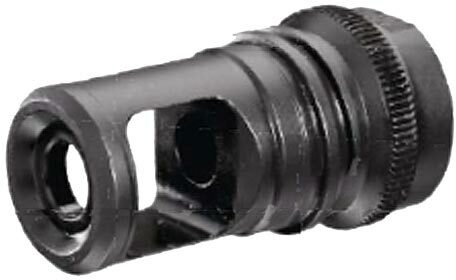 The Blackout Muzzlebreak is compatible with AAC sound suppressors. It is constructed with aerospace-grade heat-treated 17-4 stainless steel and Nitride coated for high surface hardness and durability. It reduces recoil and helps you to stay on target.